"Fancy a Spring clear out?! Now is a great opportunity to get rid of your unwanted baby items, clothes and general household clutter in aid of Tommy’s through eBay. Visit eBay for charity add Tommy’s as your favourite charity and get selling!" Environmental Business Products Ltd has been proud to support and work alongside Tommy’s the Baby Charity for over 20 years. In this time we have raised more than £1million for this fantastic cause through the recycling of both inkjet and laser toner cartridges. We still believe Tommy’s to be a great charity and their work and focus has been and continues to be extremely valuable in the area of medical research in to problems with pregnancy. We take this opportunity to inform customers that any Tommy’s branded recycling bags that remain in circulation can still be used for returning/recycling of your used inkjet cartridges but they will no longer contribute towards a direct donation to the charity. For further information on Tommy’s and the work that they do and to make a direct donation, please visit www.tommys.org. Over the past 18 years Tommy’s has been our house charity; we have proudly supported them in numerous ways in that time. We have donated over £800,000 towards Tommy’s work and continually look for extra opportunities where as a company we can go that extra mile for them. In fact we are currently putting together a team to take part in tri for life, a 400m swim, 20k cycle and 5k run taking place at Bedfordshire’s beautiful Woburn Abbey on Sunday 8thSeptember, click here to find out more. Tommy’s is a charity that exists to save babies’ lives as sadly, one in four women will lose a baby during pregnancy or birth. They work to fund medical research into the causes of premature birth, stillbirth and miscarriage and how to prevent these events from happening. They also provide a free information service that educates all parents-to-be about health in pregnancy. This service is informed by their medical research and includes a telephone midwife service, a comprehensive website, free books and leaflets promoting health in pregnancy. To find out more about what they do visit their website. Over the years, thanks to support from companies like us, Tommy’s has grown into an internationally renowned resource of pregnancy health information and a pioneer of the innovative medical research taking place at Tommy’s Maternal and Fetal Research Centre at St Thomas’ Hospital, London. One of the benefits of our long term support is that it enables Tommy’s to provide sustained funding for medical research staff, such as Research Midwife, Annette Briley, who is one of St Thomas’ principal investigators. Enabling researchers to be retained after the conclusion of each project means that their expertise is not lost to another programme. This enables Tommy’s researchers to continue working from one project to another increasing their skills and expertise, and ultimately benefiting the future health of mothers and babies. Tommy’s also supports St Mary’s Hospital in Manchester and the Royal Infirmary in Edinburgh. Each center focuses their research efforts on different issues relating to pregnancy. "We are delighted to have EBP’s long term support as it is only with committed supporters such as EBP that we can continue to fund medical research that helps families across the UK take home more healthy babies. With EBP’s support we aim to halve the number of babies that die during pregnancy and birth by 2030." - Diana Edmunds, Corporate Account Manager – Tommy's. Some of the ways that we have supported Tommy’s recently include: The 'Green' Award - This year Environmental Business Products sponsored the Tommy’s ‘Green Award’ for the third year running and have committed to sponsor the award again in 2014. 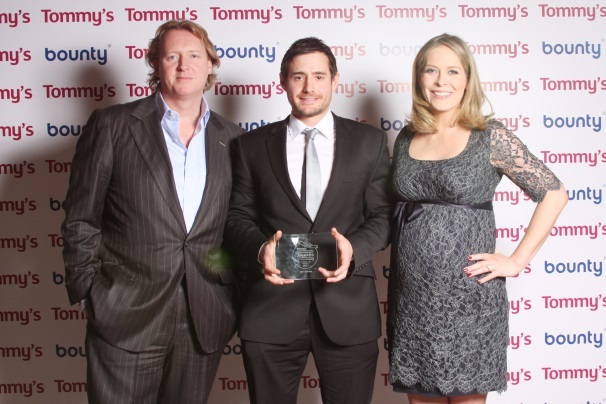 This award is part of The Tommy’s Awards in partnership with Bounty and recognises a product which works to minimise its impact on the environment, doing their bit to provide for future generations. This year’s winners were 'Ella’s Kitchen' 44 mile cycling challenge – EBP’s employees took part in this fundraising challenge. A team of 20 employees travelled down from the Environmental Business Products London offices to the New Forest on a chilly autumnal morning and took on the challenge of the 44 mile Sportive course (sponsored by Wiggle and UK Cycling). Conditions were wet and the hills grueling but all team members made it round the course, muddied but proud of their achievements and raising over £6,200 for Tommy's in 2012! Previously, the EBP Running Team took part in the Clapham Common 10k and raised £2,000 for Tommy's. As though this feat alone wasn't enough, they also hold activities such as a cake sales and 'Guess the Baby Photo' competitions to raise additional funds towards their total. ------------------ Incentivised Survey – EBP staff have taken part staff surveys with donations being made to Tommy’s for each survey returned. 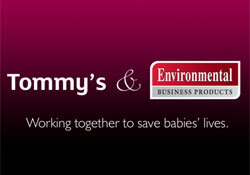 EBP works with Tommy’s to help save babies lives. Tommy’s exists to give every baby the best start in life. Here is how they make a difference…. 60,000 babies are born too soon (which can lead to cerebral palsy, chronic lung disease, disability, blindness, deafness and illness in adulthood). Funding pioneering medical research into pregnancy complications such as pre-eclampsia, miscarriage, and premature birth. Giving parents information that will help them have a healthy pregnancy. Mary was expecting twins. She first contacted the helpline at 8 weeks pregnant with twins and is now 26 weeks pregnant but sadly only one twin is expected now. 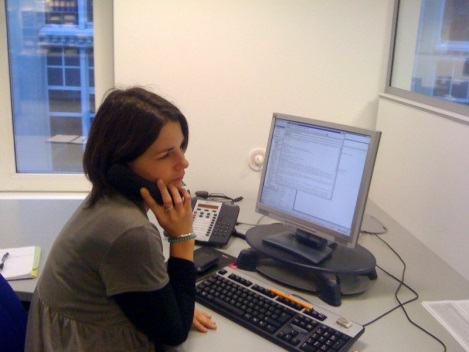 Mary continues to call the helpline to discuss her concerns and anxieties throughout her pregnancy. At an early stage it was confirmed that the twin pregnancy was high risk with probable complications, the twins shared one placenta. This identified that they were at risk of a very rare placental disorder. The condition, Twin-to-twin transfusion syndrome (TTTS) is a rare condition that occurs only in identical twins while they are in the womb. The team was able to discuss what the condition was, treatment options and how this would be managed for her. She was not booked with her community midwifery team and was only being seen by a consultant at her local hospital. She therefore didn’t have a midwife to discuss her concerns and answer her questions. She has since formed a strong relationship with our midwife Emma. They talk regularly about Mary’s pregnancy, her concerns and worries and how she is feeling. At 20 weeks it was identified that she had developed this serious condition and she had laser surgery to the placenta to try to adjust the severity of the condition for the twins. Unfortunately 2 days later one of the twins died and it was unsure if the remaining twin would survive. The midwife was able to offer advice on the procedure, breakdown complex medical information for her to understand, support her and after the tragic loss of one of the twins offer her bereavement support in the difficult weeks after The remaining twin did survive and she and the midwife often speak regularly about her care, any concerns she may have and the plan for the remaining length of this high risk pregnancy. The professional and supportive relationship has really helped Mary and she is very grateful for Emma and the team’s support at this difficult time.